Product prices and availability are accurate as of 2019-04-22 20:23:19 UTC and are subject to change. Any price and availability information displayed on http://www.amazon.com/ at the time of purchase will apply to the purchase of this product. The F65 has a powerful 3.75 Cont. Duty HP motor which delivers challenging speeds up to 12 mph and inclines up to 15-Percent. The large 20" x 60" running surface is perfect for any of the 10 available programs. The 6.5" LCD screen is backlit for easy reading in any light. When not in use the deck safely locks into place, 100-Percent secured. Other safety features include a large stop switch with a tether cord, low profile running hood, and a starting speed of 0.5 mph. Additional features include cooling fans, speed and incline controls on the handlebars, and built in speakers so you can hook up your MP3 player, Ipod, etc for easy listening. 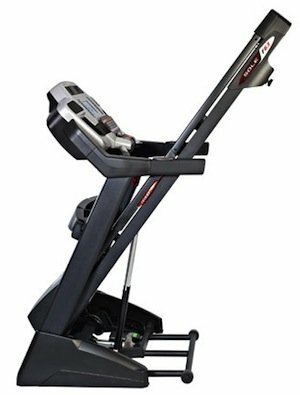 The value-priced SOLE F65 treadmill is powered by a strong, 3.25 continuous duty HP motor that drives speeds up to 12 MPH and an incline up to 15%. 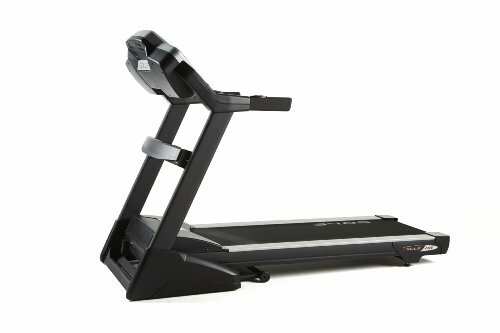 Ideal for home fitness use, the F65's space-saving design folds up and locks safely into place when not in use. 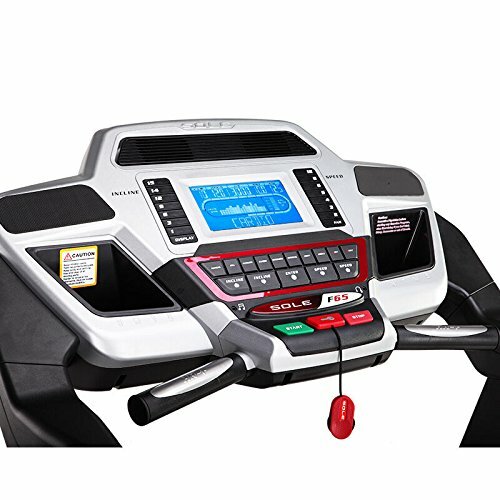 Run up to six preset programs, including cardio training and fat burning specific programs, and enjoy safety features such as a large stop switch, low-speed start, and a low-profile running hood. 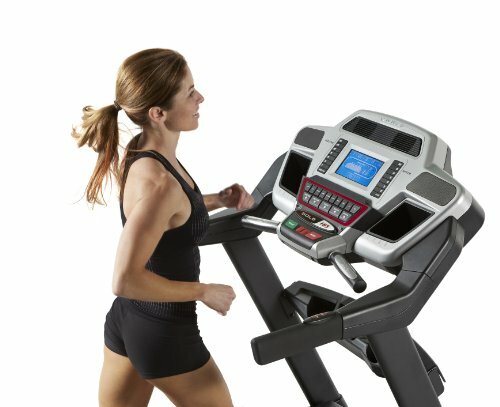 A Safety Lock Deck that locks the deck into place when the treadmill is in the upright position. You can adjust incline at any time with the conveniently-located hand rest controls, and the vibrant blue display constantly shows speed, incline, time, distance traveled, calories, pulse, and pace information. 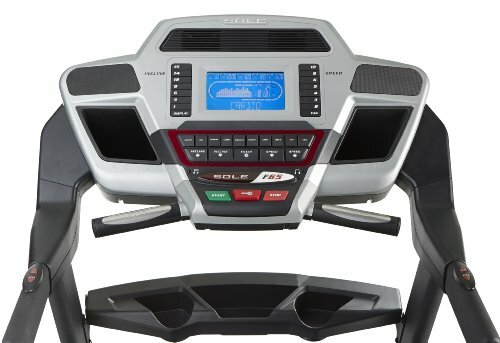 A quarter-mile track function helps you work on speed training, and the console has built-in speakers and MP3 player compatibility, so you can listen to your favorite playlist while working out.